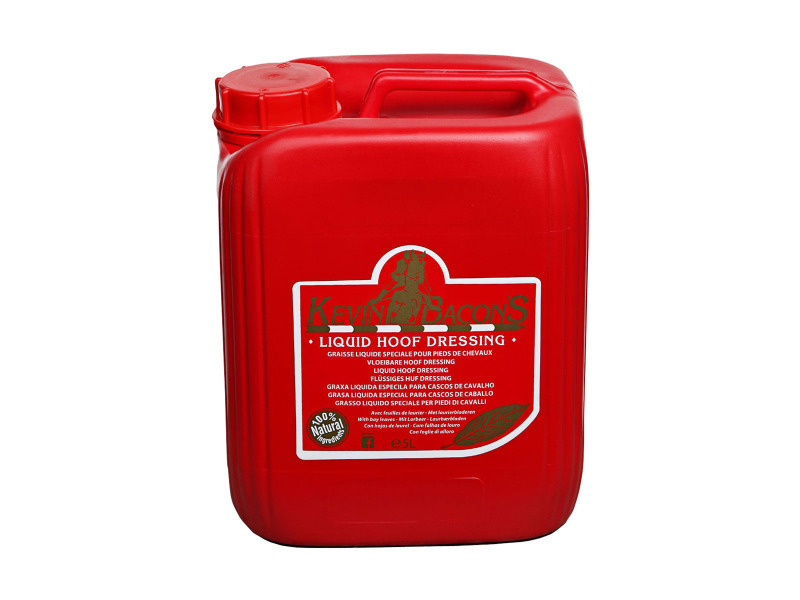 Ideally suited to the varying British weather, Kevin Bacon's Hoof Dressing comprehensively protects hooves, preventing saturation from water infiltration in wet weather whilst also maintaining ideal moisture levels in dry weather. Maintaining optimum internal hoof conditions, hooves are kept supple, elastic and split/crack resilient. 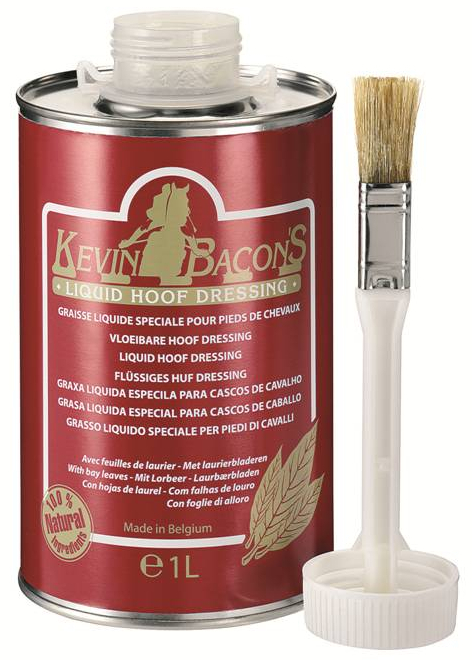 Kevin Bacon's Hoof Dressing is also designed to guard against bacteria, forming a physical barrier that encourages healthy horn growth. A tar based product, it is enriched with 10% added vegetable tar. 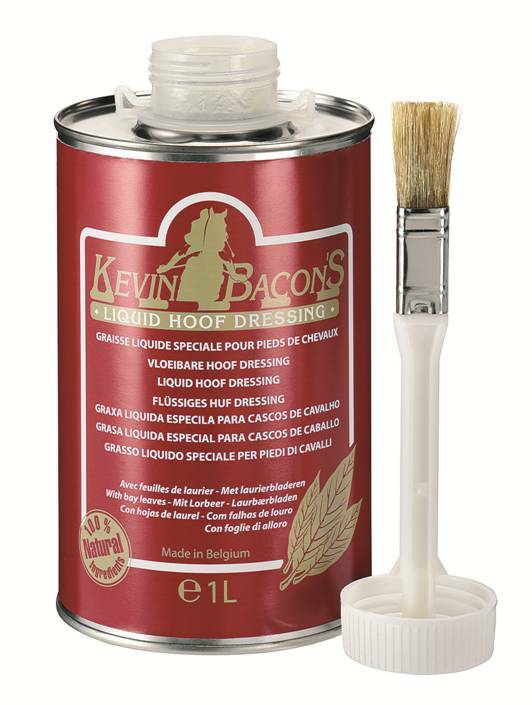 Using the same, famous formula but in an easy to apply liquid form, Kevin Bacon's Liquid Hoof Dressing is sold with an applicator brush included. Providing lasting protection and support for all hooves, it is a tradition and trusted formula with proven beneficial effects. 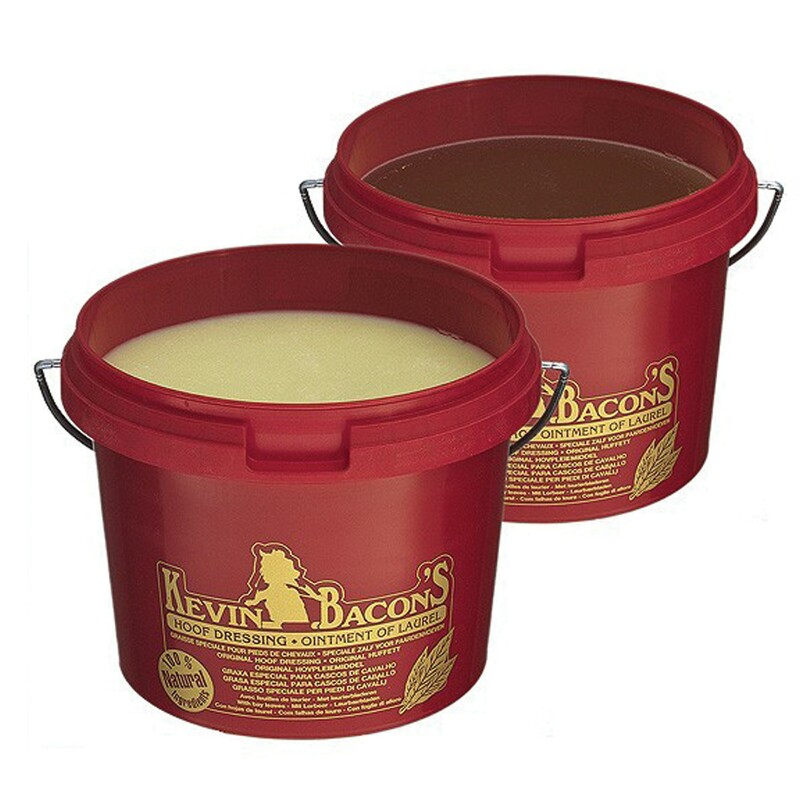 Below are some recent questions we've received regarding Kevin Bacons Hoof Dressing for Horses, including answers from our team. I have spoken to the manufacturers who have assured me that both the liquid and the oil dressing are exactly the same. The hoof dressing original or black are the same, it's just that the tar based one has natural black coloring with a light antibacterial effect. The important thing is that the product without tar, is not very effective on and under the hooves.